EMPOWERED INGENUITY WINS THE DAY! In today’s ever-changing business landscape, privately owned companies have had to quickly adapt to the Black Empowerment Policies of Government. In 2016 Sky Hill was a Level 3 B-BBEE based on the old codes of compliance, and dropped to a level 5 B-BBEE in 2017, based on the ‘new’ codes. It then had to look at restructuring its business ownership and management structure to meet the new codes and requirements. 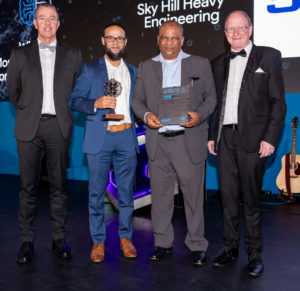 In order to remain relevant and to continue servicing their historical clients, Sky Hill Heavy Engineering had to make key decisions in terms of partnering with new equity shareholders and changing the strategy of how the business functioned, without losing its corporate identity and culture. As a result, the company went through a Broad Based empowerment Trust Scheme. Black women now own 30% and black males 21% and the company’s B-BBEE is now a Level 1, the highest level of Compliance attainable. An empowerment holding Trust now owns Sky Hill, Hydra-Arc and the Mshiniwami Artisan Academy, with the B-BBEE partners having a cross spectrum ownership amongst these companies. The strength of this is that if one company is not doing well due to a cyclical financial downturn, there are the other companies, that cover a range of industries and services, to mitigate shareholder volatility. This is empowered ingenuity at its best. 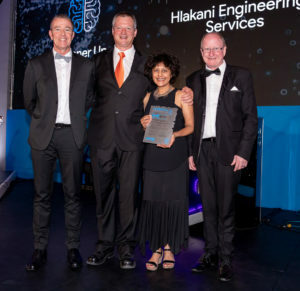 When Hlakani Engineering Services started its fabrication facility, the first employees stemmed from a residential building background, e.g. plumbers, tilers, painters and brick layers. 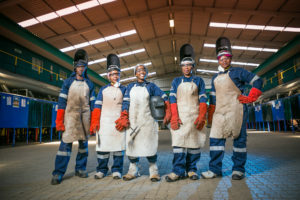 Hlakani offered this team the opportunity to develop and invested in in-house and external training and the personnel that accepted the challenge have developed and gained experience to the extent that they have become coded welders and boiler makers. A Hlakani career path is where an un-skilled individual is employed and he or she shows interest in a specific skill. Tools, consumables and material are at this individual’s disposal and with the employee showing interest and having the willingness to develop and basically change their own destiny, Hlakani reviews the results of welding or boiler making and then invests in this person. An employee showing talent in welding for instance, is sent on a welding course and with the new theoretical training and enough practical experience, they are then given a practical coded welding test. If the employee passes the welding test, they are immediately upgraded to the pay grade of a coded welder. 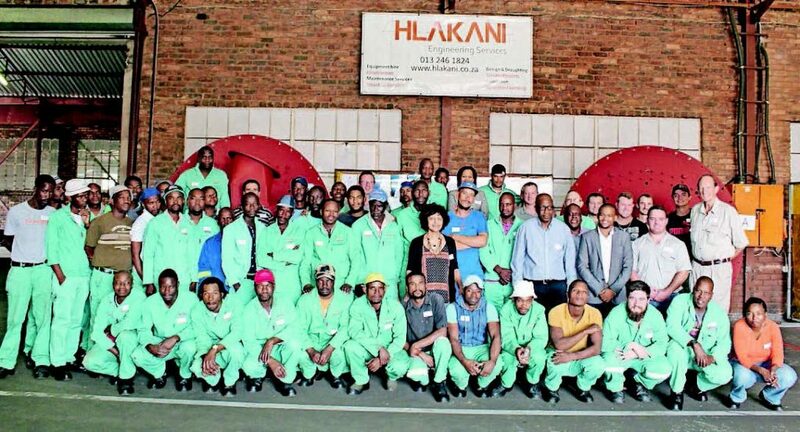 Hlakani, by choice, utilises permanent employees as most of its qualified staff came through the ranks, starting at the bottom. This ensures loyalty, a specific company culture of commitment and pride in one’s work with the end result being a low staff turn-over. For the Eskom Camden PF burner contract, Hlakani made a commitment to train a total of four employees during the project. At the end of the project Hlakani had far exceeded that target and had trained 46 persons in various skills and created 75 new jobs. 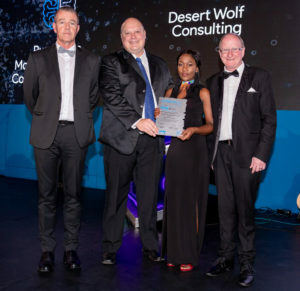 Following many decades of good working relationships with their staff, Desert Wolf Consulting has committed to transforming the business. Since making this commitment it has transformed from a wholly whiteowned family operation to a 51% black owned business where workers hold the majority shareholding. With many workers having been employed by the company since inception, staff have been empowered to take ownership of quality, productivity, safety and long-term planning as well as share in the profits and gains of the company. 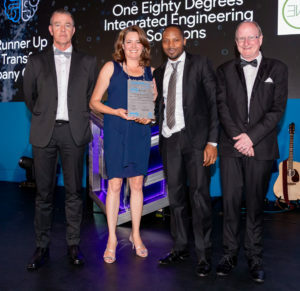 Regarded as a 125% B-BBEE contributor, One Eighty Materials Testing has an excellent standing in transformation where black employees actively play a part in management control in key positions with a special emphasis on both skills and personal development. 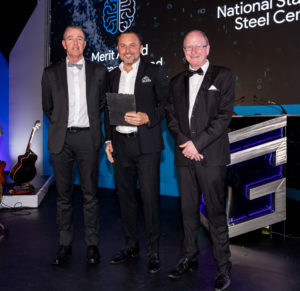 Preferential procurement policies are in place to support empowering suppliers and One Eighty Materials Testing delivers young people to the industry who are well versed, trained and mentored, adding value to the economy. At NSSC all staff members enjoy a hot meal every day, are offered training and skills development as well as apprenticeship positions in an effort to upskill all employees in the company.